Tickets have gone on sale for Ice Age: The Lost Kingdom, a touring outdoor animatronic family attraction bringing to life the sights and sounds of prehistoric times through 40 life-size animatronimc beasts that roamed the world around 70,000 years ago, including mammoths, sabre-toothed tigers and giant sloths. All locations will also host street-food outlets and a mini-cinema marquee with Ice Age documentary screenings and a kids’ fossil excavation pit. For a small extra charge, visitors will be able to sit in virtual reality pods with headsets and choose from an array of digital experiences, from virtual rollercoasters to Jurassic encounters. 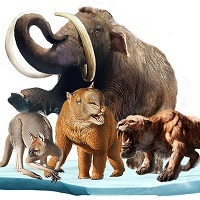 Adult tickets are £14.50 when booked online in advance, kids’ tickets are £12.50, but early-bird tickets at a discount of 20% are on sale at iceagekingdom.com until February 28th using promo code EARLYBIRD20.